Nahanni worked on large-scale, innovative project that greatly contributed to the production of sustainable energy at the mine. 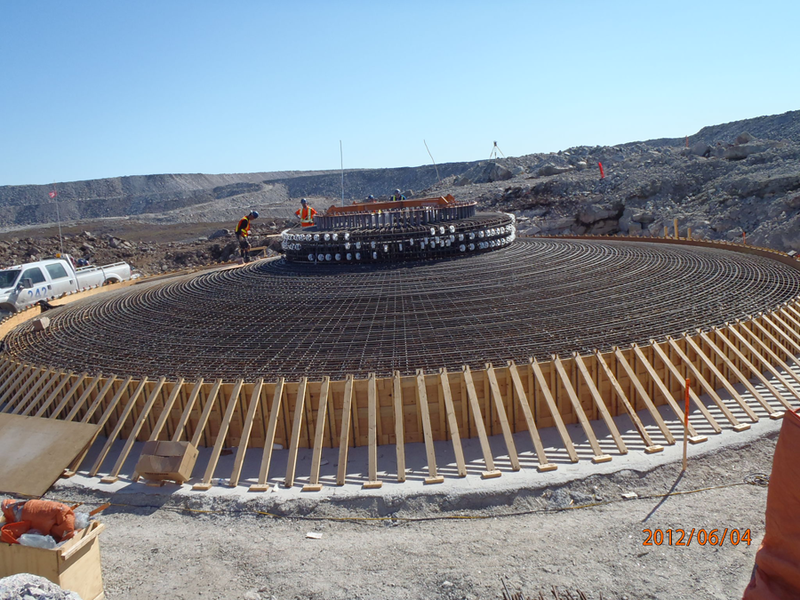 The Wind Farm Project at Diavik Diamond Mine is a large-scale, innovative project that greatly contributes to the production of sustainable energy at the mine site. Nahanni was contracted to complete all civil works for this project, lending its health and safety expertise and operator/equipment support to the lead contractor from Germany. 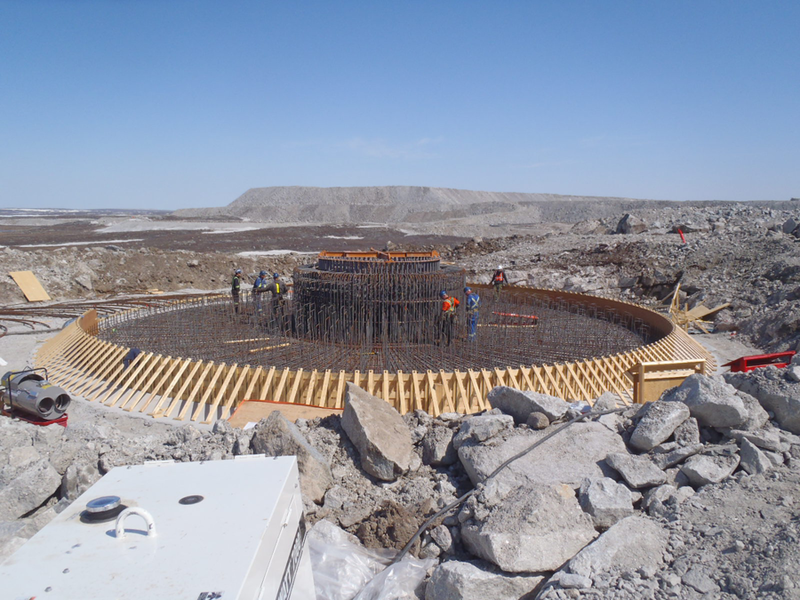 Logistics can be challenging whenever the project is located at a remote site over 300 km northeast of your home base, especially when you need to place and set more than 190 tonnes of rebar and 1,600 cubic m of concrete. This can be daunting when it involves wind turbines with 35 m blades and 65 m bases that stand over 100 m tall when installed, and an extremely mild winter that raises questions about the load capacity and duration of winter roads – the only available route for supply shipments – qualifies as a logistics nightmare. Nahanni assigned an 18 person crew to work closely with the general contractor and the mine to ensure supplies were in place and that work was completed on schedule. Nahanni also purchased five cement trucks and a concrete pump truck to ensure adequate resources were available to complete the project on schedule and on budget. The wind turbines will reduce Diavik’s fuel consumption by 10%, saving 4 million litres of fuel per year. 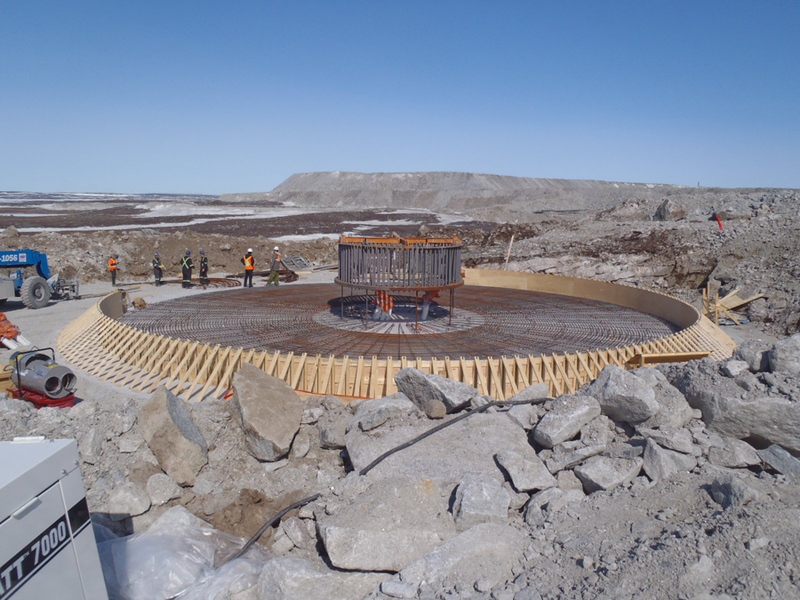 The Diavik Wind Farm was the world’s first large-scale wind farm at an operating mine. It is the largest wind turbine project at any mine in the world, as well as the world’s largest wind-diesel hybrid project. 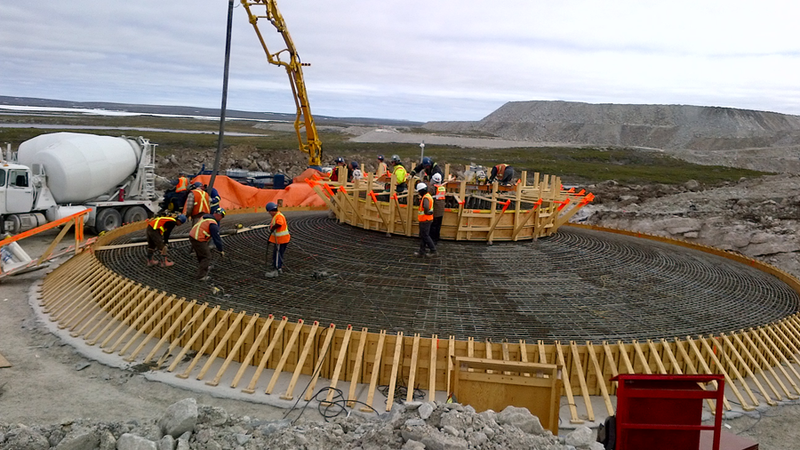 The 18 person Nahanni crew placed over 190 tonnes of rebar and 1,600 cubic m of concrete. 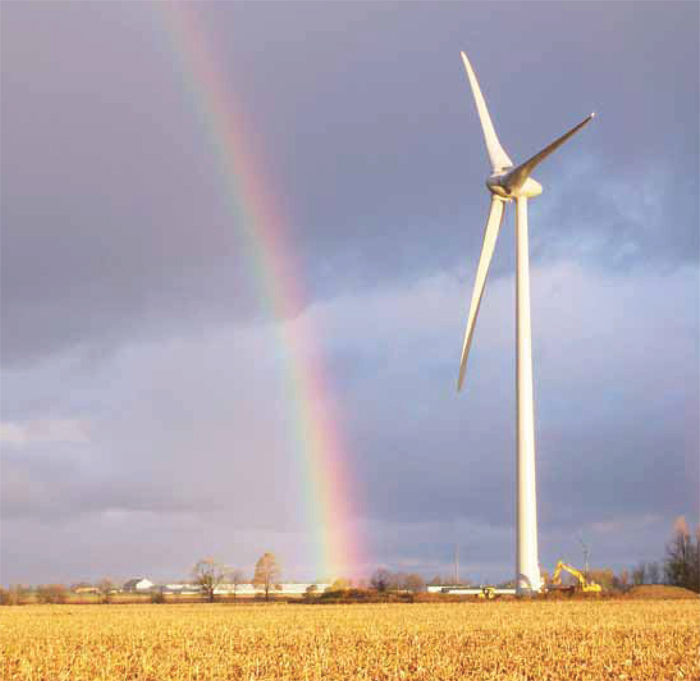 Each turbine measures 100 m tall.